Finally the installation in Lagos is complete. 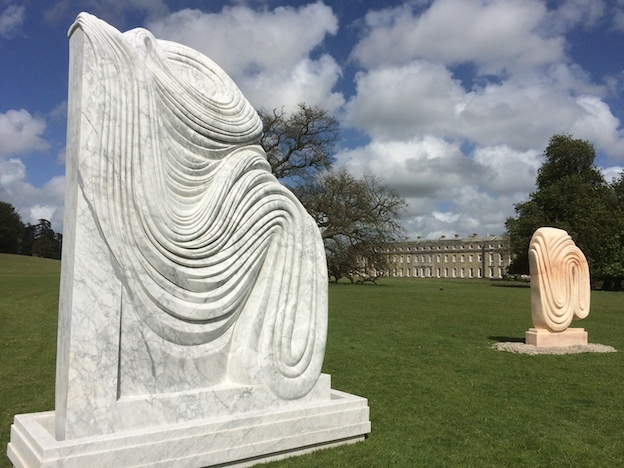 New 16 tonne sculpture finds a home in front of a beautiful white mansion. This entry was posted in news on November 30, 2016 by Paul Vanstone. Security celebrating the installation with a few poses for the camera. Paul is back after 36 hours in Lagos! This entry was posted in news on October 18, 2016 by Paul Vanstone. 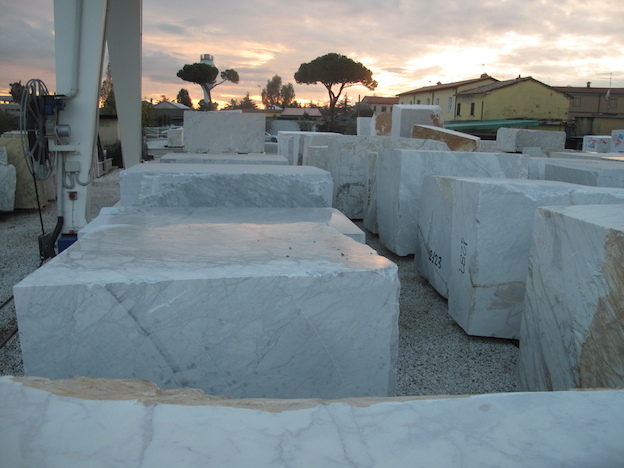 Paul recently passed through Carrara on one of his regular buying trips and and to explore new material. While searching for particular hues that evoke the feeling of horses (more on this later) he discovered some real beauties. 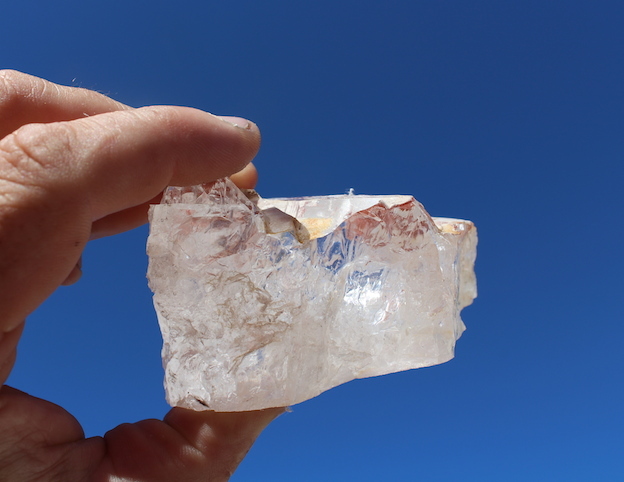 One was this beautiful clear white onyx that resembled fossilised ice more than stone. He also found this stunning Red Jasper below. These trips are such an essential part of the creative process, to stimulate ideas and projects. Walking through the stoneyards and talking to the stone specialists opens new pathways for Paul’s work. And the sunshine helps. This entry was posted in news on September 27, 2016 by Paul Vanstone. 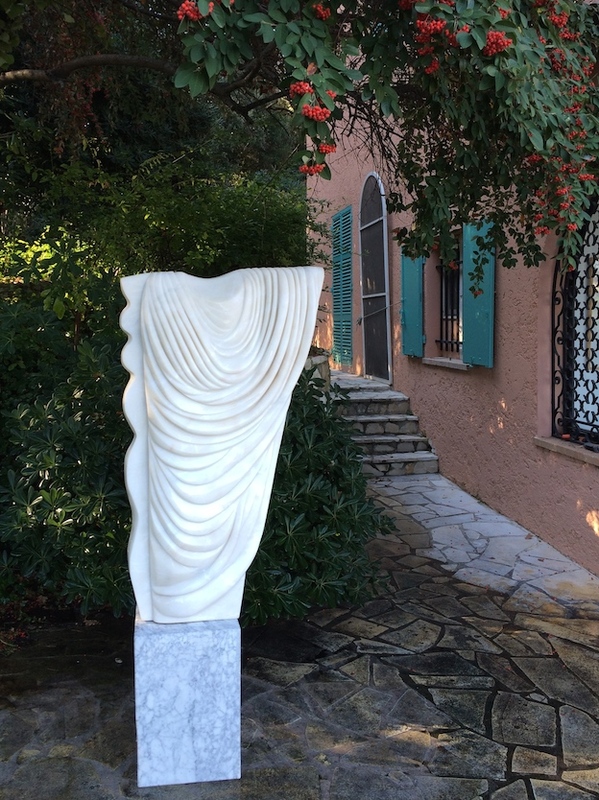 Paul had a trip to France last week to set up some pieces sent ahead to Monaco. 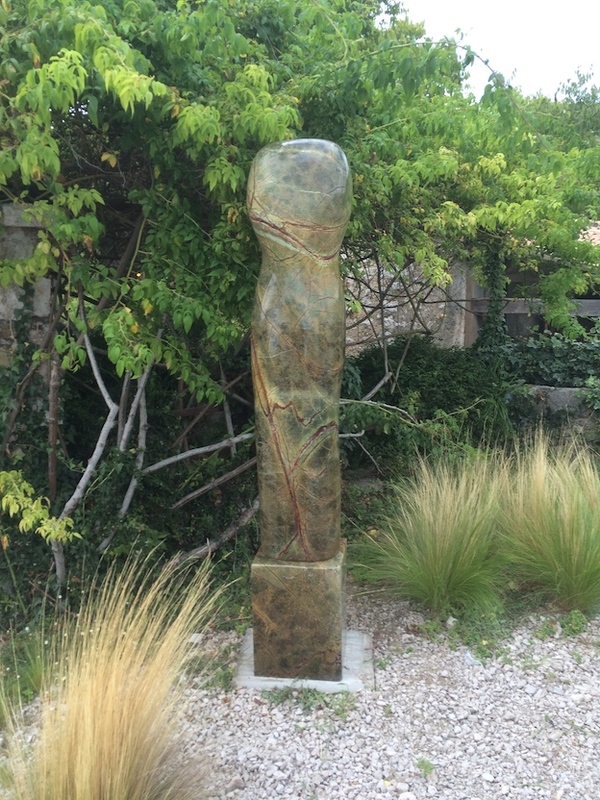 The work was installed at a new exclusive members club 39 Monte Carlo. I’m sure that the good followers of Paul’s endeavours are highly likely to pass through at some point so when you do, head straight for the terrace to check them out. Lagos commission coming to a conclusion…. After the summer season it’s nice to have a meaty project to complete and get everybody back into the swing of things. 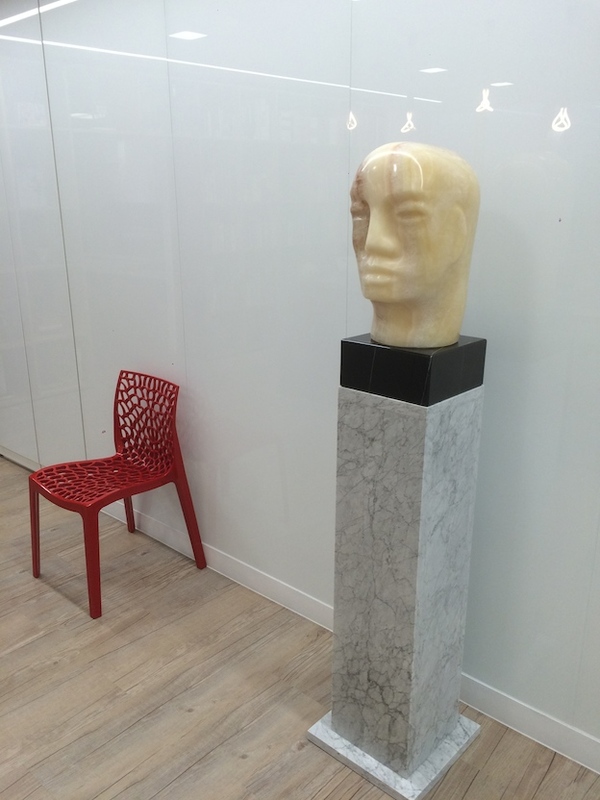 These fantastic Carrara heads are no exception. They are a commission for a large project in Lagos, Nigeria that has been in the pipeline for some time. They are in the final stages of polishing now, and if we can just get the paperwork side complete (much harder than the making it currently feels like) then they will be on their way in the next few weeks! Paul’s Crystal Head was recently bought and has been positioned in the reception area of a Media Company in St James. 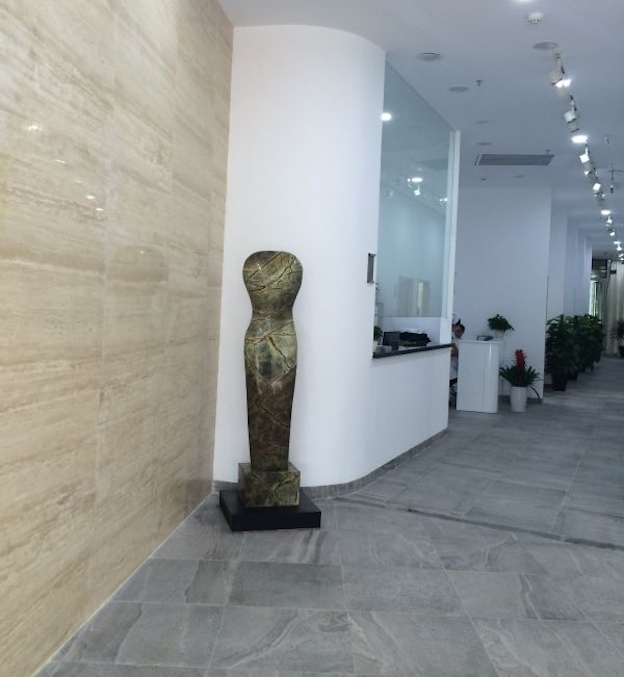 The combination of Turkish Onyx, Moroccan Black Marble and Carrara Marble base works well in the space. Paul was so taken with the work place that he had his first experience of considering a desk job…. momentarily of course. Phew! This entry was posted in news on April 12, 2016 by Paul Vanstone. 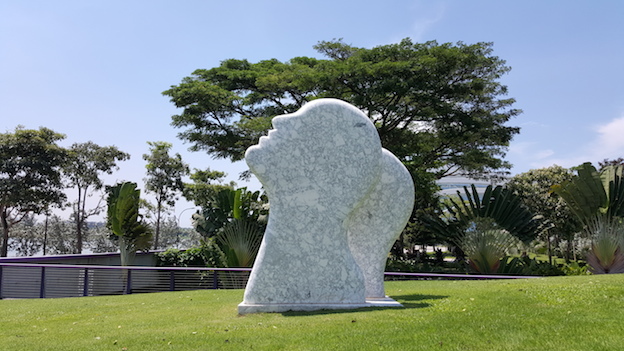 After a short transitory stint in the Terminal 5 Gallery of Heathrow, one of Paul’s sculptures has been purchased and is now residing in a hospital in Sanya, in the south of China. We don’t have any more exciting pictures but it’s always great to know where the pieces end up and it’s often somewhere new and interesting. This entry was posted in news on January 7, 2016 by Paul Vanstone. Happy New Year and just in case you are not completely tired of looking in shops, here is a shot of a new collaboration that has just gone into the Folk Store on Lambs Conduit Street in London. 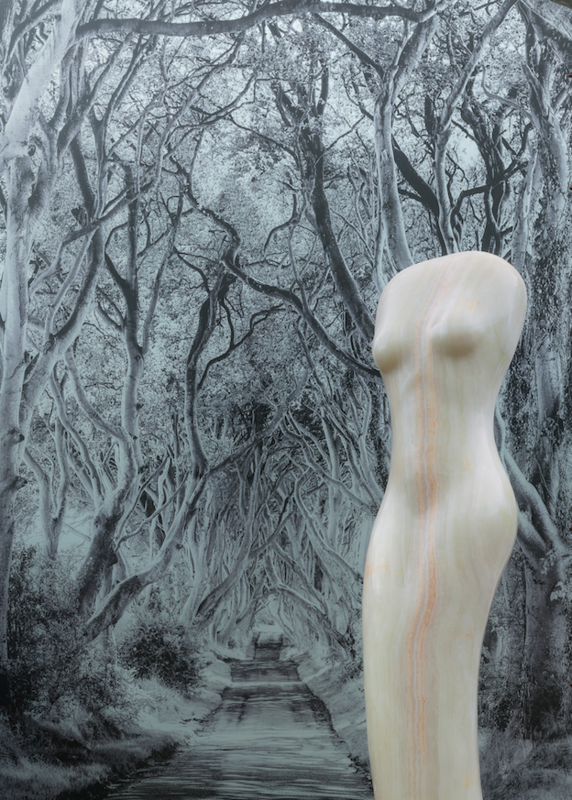 Working with Folk Designer and Director, Cathal McAteer Paul created this piece using a mix of Onyx, Carrara, Red Tuscan and Black Portoro marbles. This entry was posted in news on January 5, 2016 by Paul Vanstone. 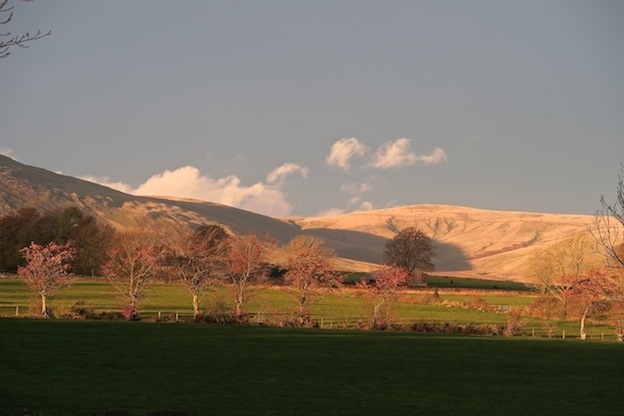 Paul attended a very special event this weekend at the Rheged Centre in Cumbria. As part of the Inaugural Mountain Arts Festival he exhibited work and gave a short talk on his relationship with mountain walking and art. The event was a gathering of writers, thinkers, artists, performers and climbers showing through their art what the hills mean to them. The entire event was in support of Community Action Nepal, which works to support Mountain people of Nepal and was a very enjoyable few days for all those who attended. This entry was posted in news on November 9, 2015 by Paul Vanstone. Paul installed some new pieces in the Sofitel lobby last week. 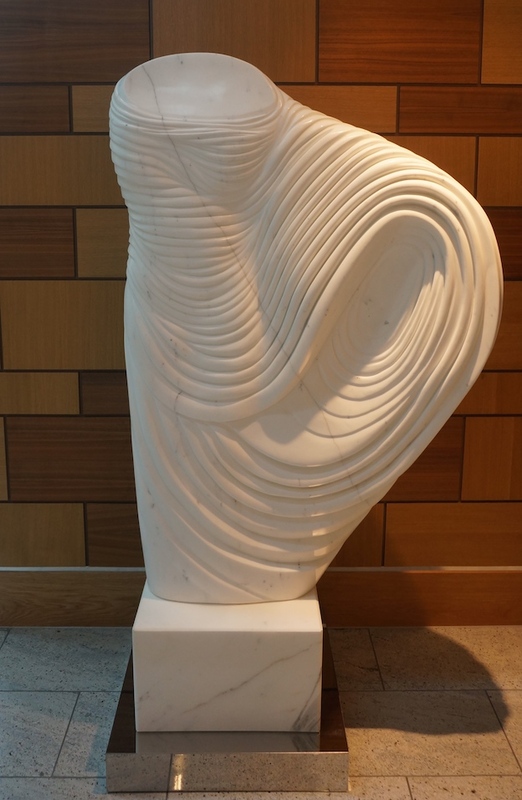 As part of the ongoing collaboration with T5 Gallery the pieces now sit in the entrance area to be enjoyed by the guests passing through and stopping over for easy access to Heathrow. We are really pleased with the result and feel that they fit really well in the space. We hope the guests like them too! Please get in touch with T5 Gallery if you are interested in either of these pieces. We were delighted to receive these images this morning from Derek Chan of Gardens by the Bay in Singapore. This unique horticulturally themed setting spans over 101 hectares of land and is a must see if visiting Singapore. 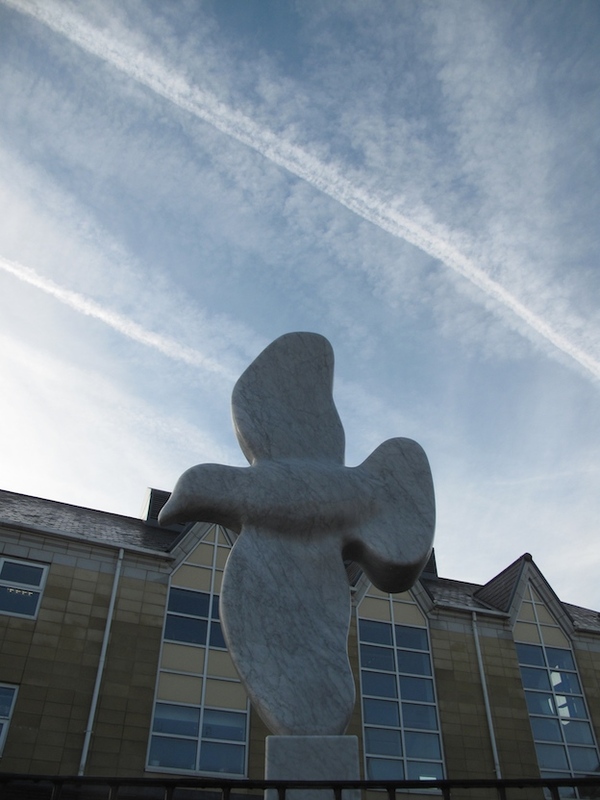 Paul’s sculpture ‘Watching Clouds’ was exhibited at the on form exhibition last year. It was then sold and shipped to Singapore where it sat patiently waiting for installation. We are so pleased to see it has finally been given it’s position in this exotic and spectacular setting. This entry was posted in news on July 8, 2015 by Paul Vanstone. 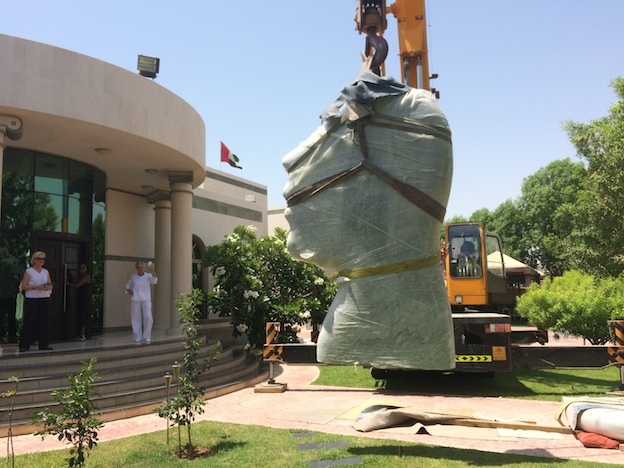 Paul travelled to Abu Dhabi last week to assist in the installation of the large heads seen at Chelsea last year. 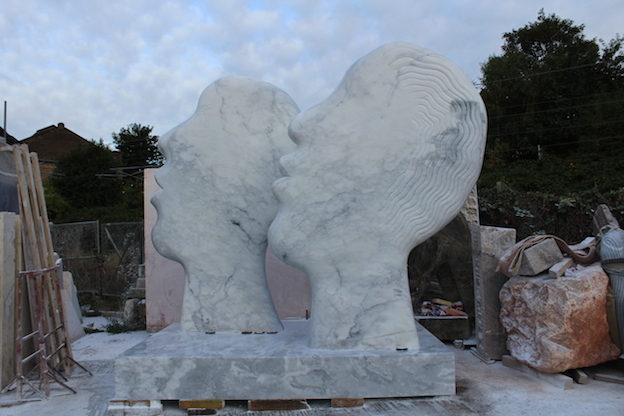 ‘Kissing Profiles’ are 2 large pieces made from solid Italian Carrara marble and weighing nearly 3 tonnes each! They had been gently making their way by sea for a for the last few weeks and once they arrived safely Paul joined them to ensure the installation went smoothly. 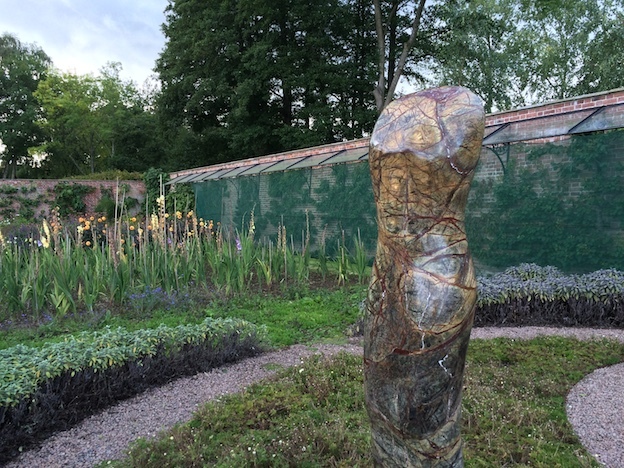 Please excuse the delay, but we’re excited to inform you that Coombe Sculpture Garden opened its doors this week. Paul headed there straight from Chelsea to install and set up new work and polish and re-site existing works. 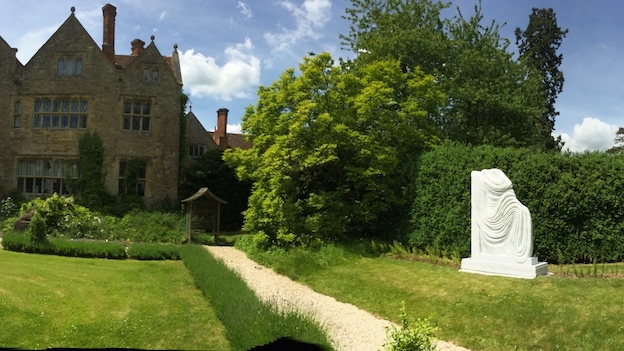 The garden is looking fantastic and apparently the lasagne being served up on the private view (Sunday) was divine. They are open each weekend this month. This entry was posted in news on June 3, 2015 by Paul Vanstone. The radio silence on here will explain the distractions we’ve had for the past few weeks. 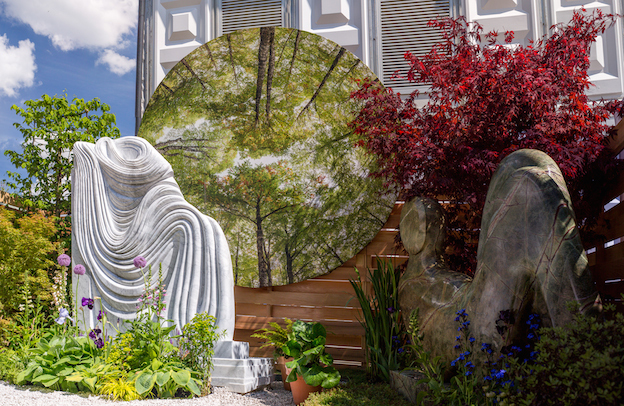 Exhibiting at Chelsea Flower Show was a great pleasure and as always was a great opportunity to rub shoulders with the great and the good of the garden world. It’s lovely to get out of the studio and put Paul’s work out there in the public realm and also to catch up with many friendly faces that have become so familiar over the years. As you would imagine, the weather plays its part in the experience and although there were some less desirable temperatures in general the mood was jovial and enthusiastic. Thank you to everyone who contributed to the preparations and build up of the stand, and also to those who made it to the show and passed by to say hello. This entry was posted in news on June 1, 2015 by Paul Vanstone. The frantic push has begun, to build Paul’s stand at Chelsea Flower Show! Paul and his team have been there since last week installing artwork, building structures and erecting the photography work of David Anthony Hall. 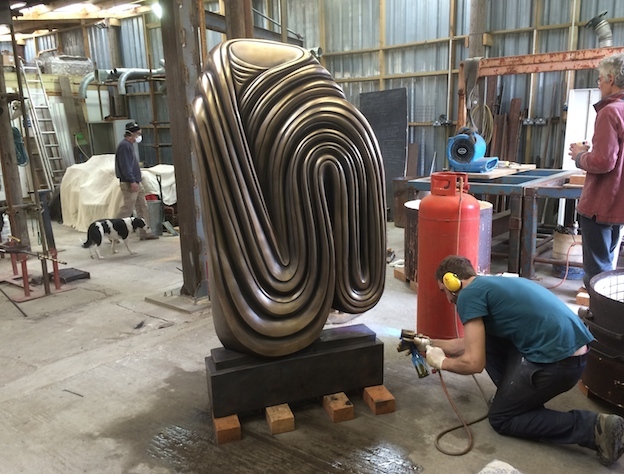 You can see there are a number of new works going in, including the fabulous bronze piece completed recently. It’s an incredible amount of work each year, but always such a great experience. Please make sure you come and visit the stand (WA1 on Western Avenue). We will be putting up more images once its done, but you have to be there to get the full impact! This entry was posted in news on May 13, 2015 by Paul Vanstone. 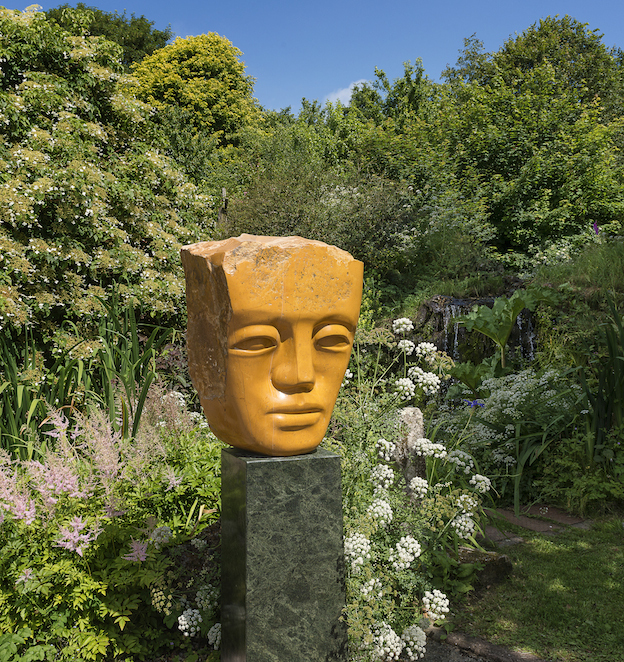 Anyone familiar with Coombe Sculpture Garden will know that this beautiful garden in Devon opens its doors each summer and offers the opportunity to see many pieces of Paul’s work in its stunning gardens. This year it will be open from the 5th June until 28th June and is well worth the visit, for plant and art lovers alike. Please have a look at their new website for more details and make sure you keep them in mind if you are passing through West Devon. This entry was posted in news on May 11, 2015 by Paul Vanstone. Paul recently had a visit from Tim Brotherton of Brotherton-Lock photographic services. 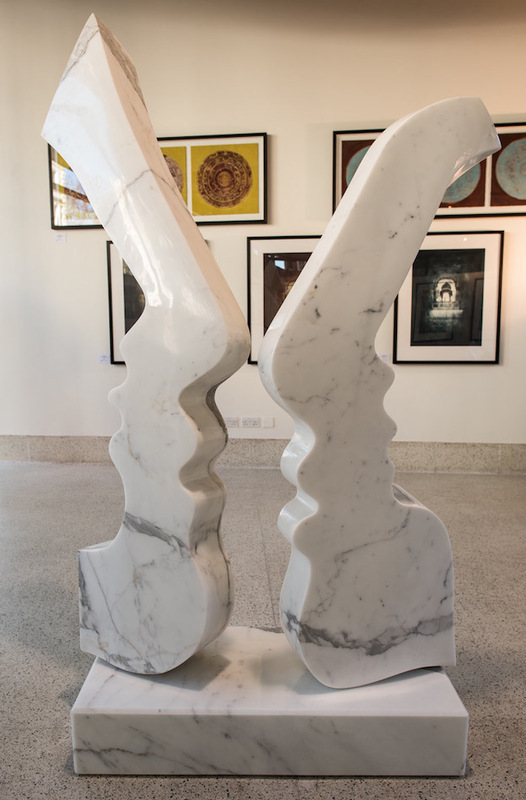 They wanted to use some of the offcuts of marble that gather around the studio for some photographic work they were doing. 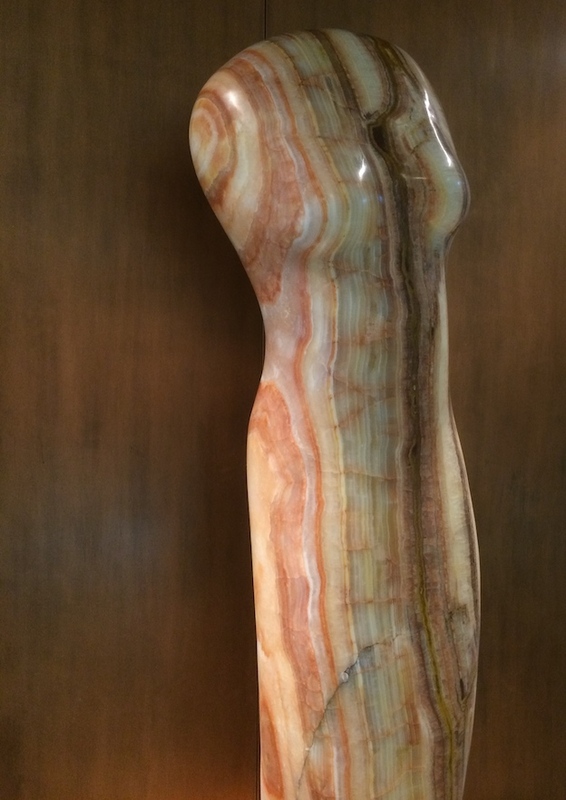 The wide variety of marble that Paul works with makes rich pickings and the end results are quite stunning. 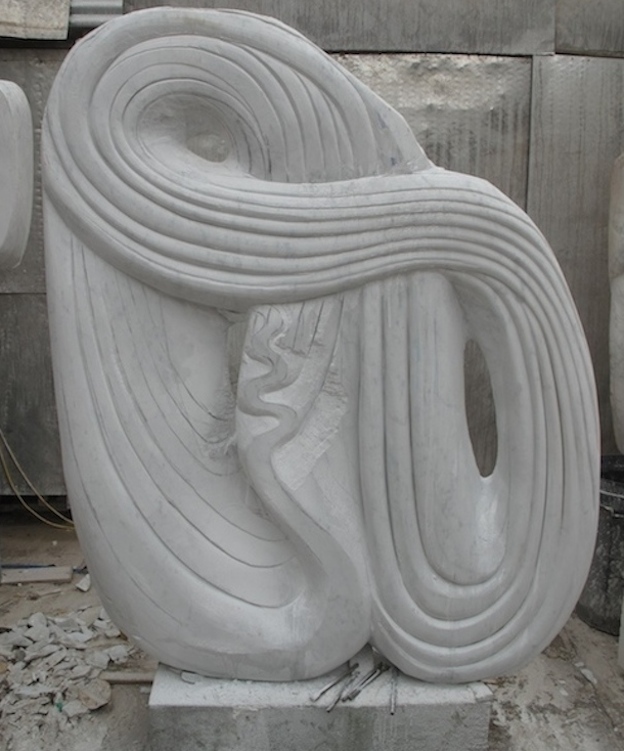 It’s intriguing to see the marble used in this way and a fascinating contrast to Paul’s finished pieces. We hope to do some more work with them in the future. This entry was posted in news on April 20, 2015 by Paul Vanstone. Paul travelled to Devon last week to install art work at the beautiful spot on the edge of Dartmoor. 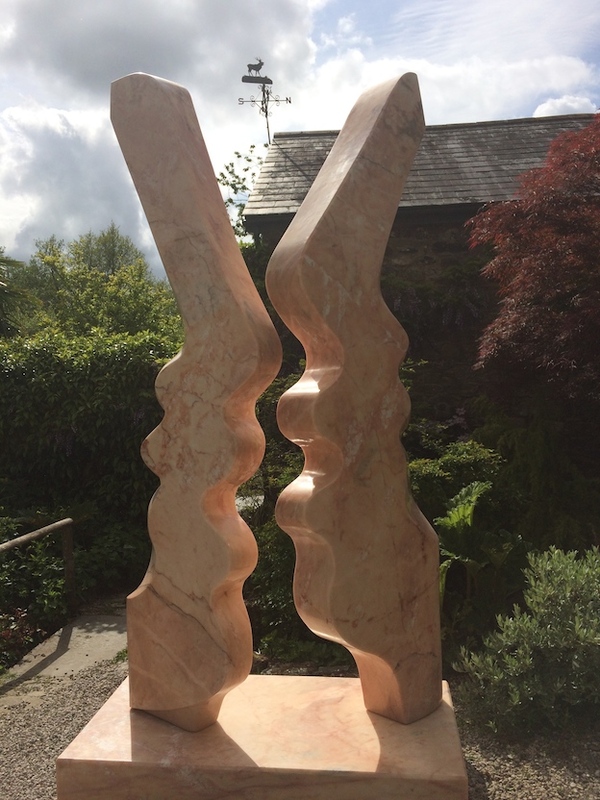 Delamore Arts and Sculpture Exhibition will be open every day of May and is a lovely site with mature grounds and a thoughtful selection of artwork. This entry was posted in news on April 13, 2015 by Paul Vanstone. 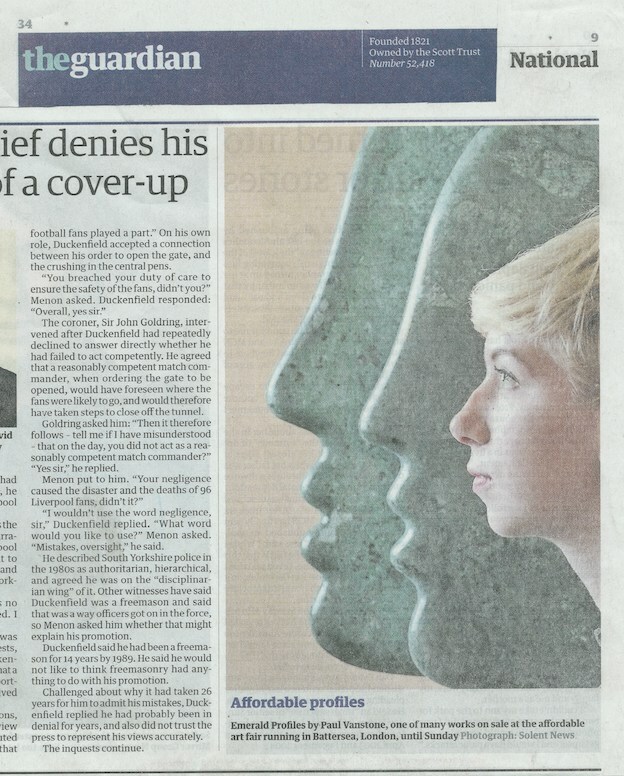 Paul’s work caught the eye a Guardian reporter last week and a photo of one of his recent pieces was featured in the pages of the national pages of Fridays paper. The piece was one of the new smaller pieces that was shown at the Affordable Art Fair in London over the weekend. Please contact us for any further information, but be patient while we work our way through the flood of press interest! This entry was posted in news on March 16, 2015 by Paul Vanstone. Last week Paul and Vitaly installed (with a few extra hands!) a commission for a desk designed for a Saville Row client. 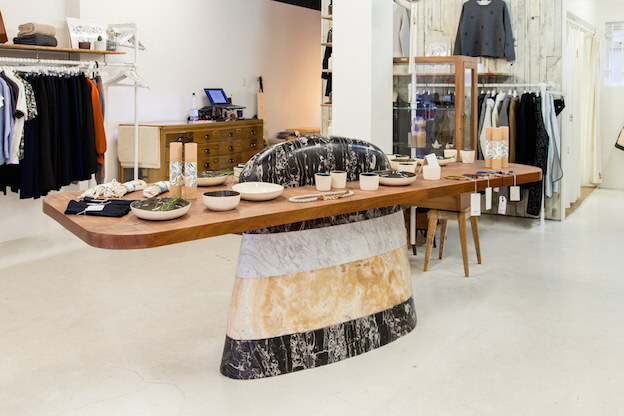 The desk began as a 16 tonne block of Italian Portoro Marble which was selected from a yard in Carrara by Paul and William from Workingstone last year. 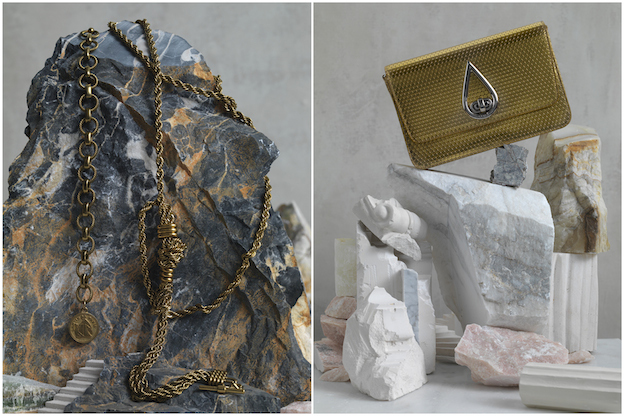 This marble comes from the region of La Spezia where it is quarried from under the sea, The distinctive black and bright gold pattern is formed in a marine environment where it is deep, poorly oxygenated and rich in organic matter. The desk has been a very exciting project and the opportunity to work with the architects at Denton Corker Marshall was a pleasure. 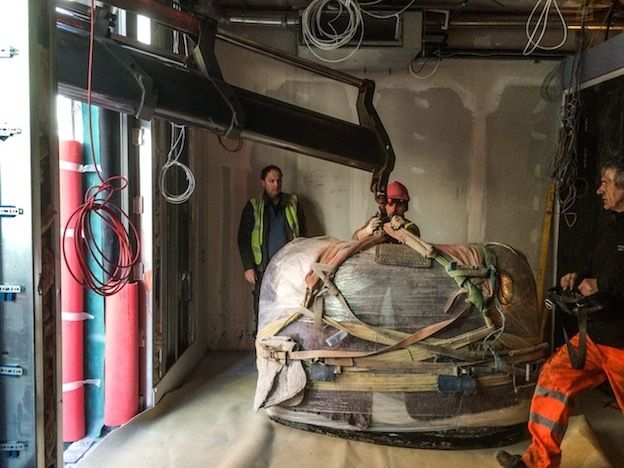 The installation was expected to be quite and undertaking but the expertise of the whole team (including Tony from Riverside Haulage) ensured it happened smoothly. Just goes to show what’s possible! From the depths of the sea to the reception of Saville Row offices. This entry was posted in news on March 9, 2015 by Paul Vanstone. 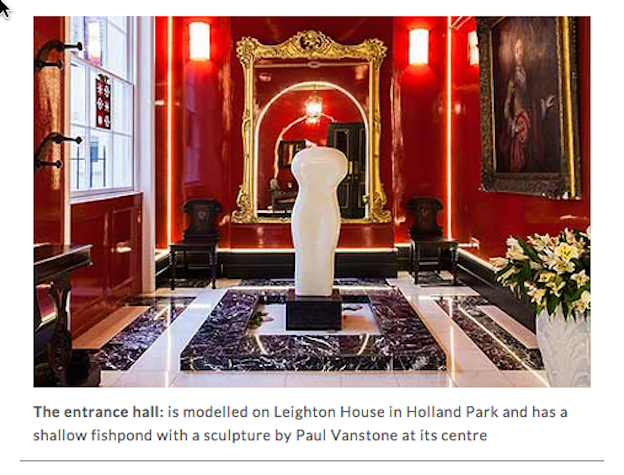 Last week the Evening Standard featured one of Pauls sculptures in the sumptuous setting of a Regency home in the outer circle of London’s Regents Park. 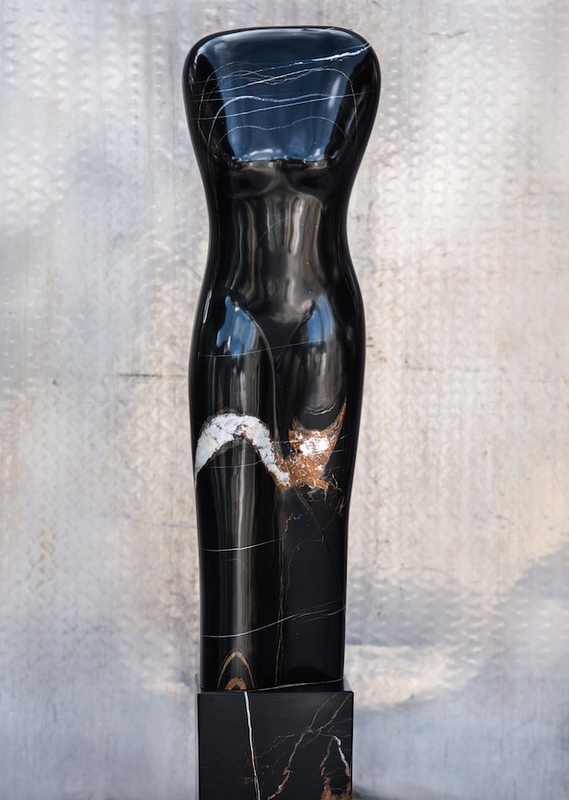 Belonging to property specialist Naomi Heaton the Onyx sculpture sits in the entrance hall of her home and sits on a block of black marble. It seems to be surrounded by a small fish pond at its base. We always welcome images of Pauls work in it’s setting. 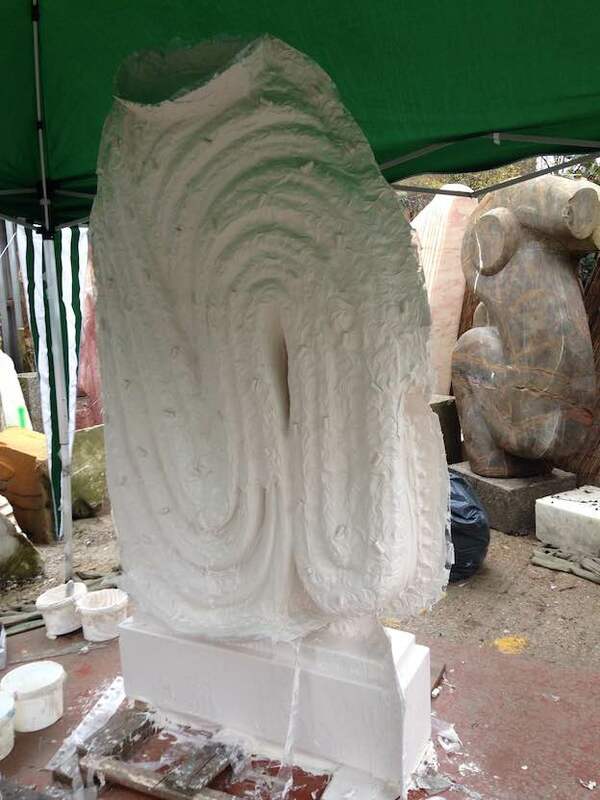 If any one would like to send images of their Paul Vanstone sculpture you can email them direct to us using details on the contact page. This entry was posted in news on February 23, 2015 by Paul Vanstone. Paul recently exhibited with fellow artist Natasha Kumar. The show at the Royal Geographical Society concentrated on the influence of India in the work of both artists. Guests to the private view were lucky enough to attend talks by both artists where they described how time in India has shaped their work. 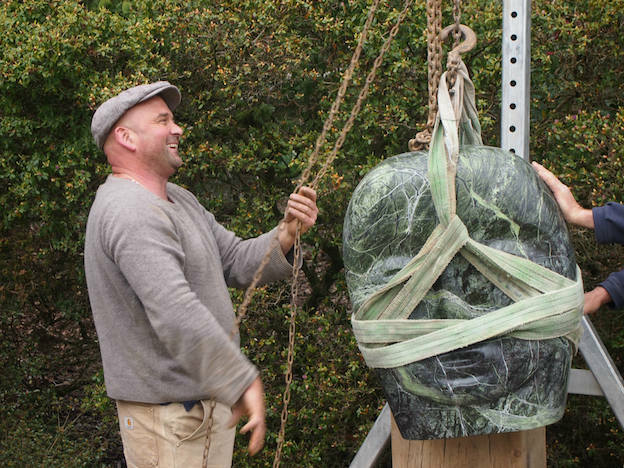 Pauls experience there in the 1990’s clearly influenced his technique and continuing fascination with the process of turning raw stone in to light, fluid works of art. 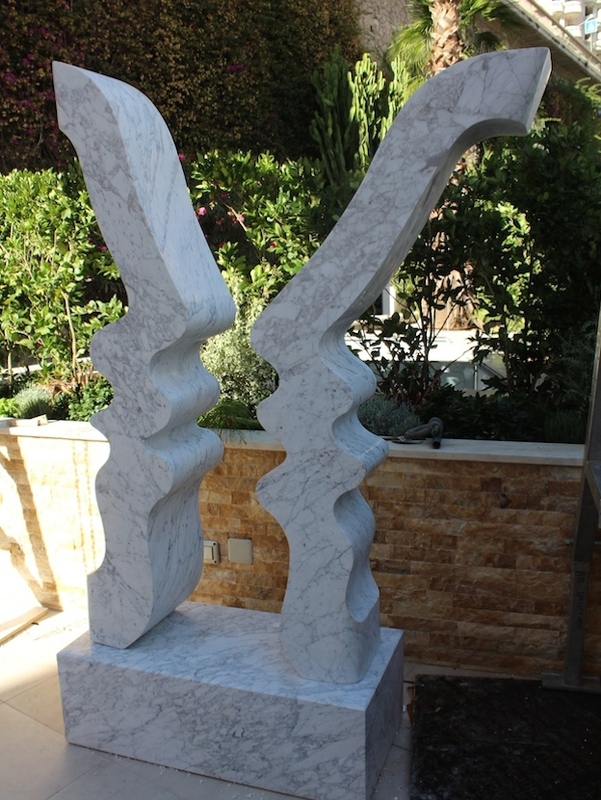 It was a wonderful event and the the piece above, ‘Cararra Profile’ will now make its way to it’s new home in Abu Dhabi. This entry was posted in news on January 28, 2015 by Paul Vanstone. 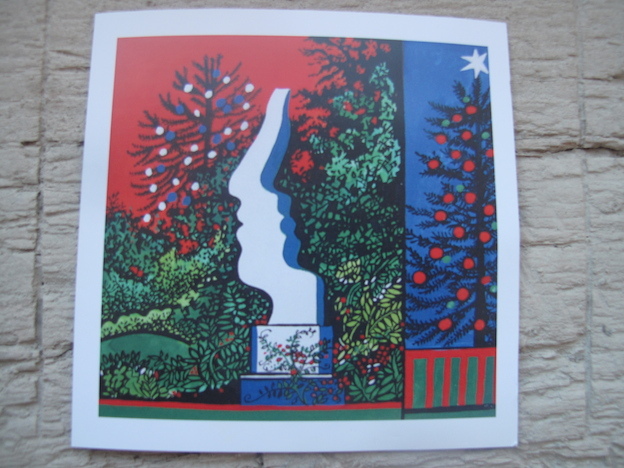 We received a beautiful card this morning – a stunning print of one of Paul’s sculptures bought this year by a client in Lancashire. Paul’s piece ‘Ribbon Profile’ has been used as the feature in this lovely festive image cleverly turned into a Christmas card by the client. If only we’d thought of this first! May we take this opportunity to wish everyone a happy festive season, and an enjoyable New Year! This entry was posted in news on December 16, 2014 by Paul Vanstone. 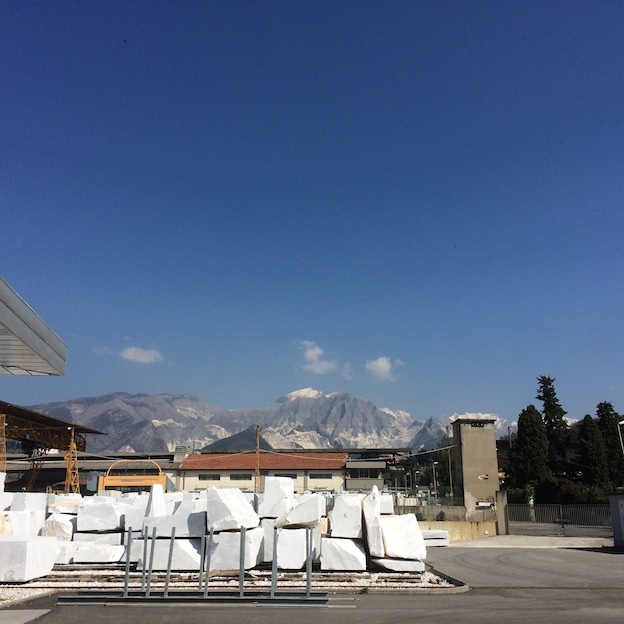 Paul has been in Carrara, Italy on a buying trip with William Carey of Working Stone. There are a fantastic range of materials in this area. In one morning you can look at onyx from Iran and marble from Spain, Morocco, Portugal, India and Africa. It provides an amazing palette of materials and colours for an Artist to use. Paul has now completed the Dove sculpture for the City Mission Church on the corner of Scrubs Lane and Harrow Road in West London. It was installed in the early hours of Saturday morning in order to avoid disrupting this busy intersection. 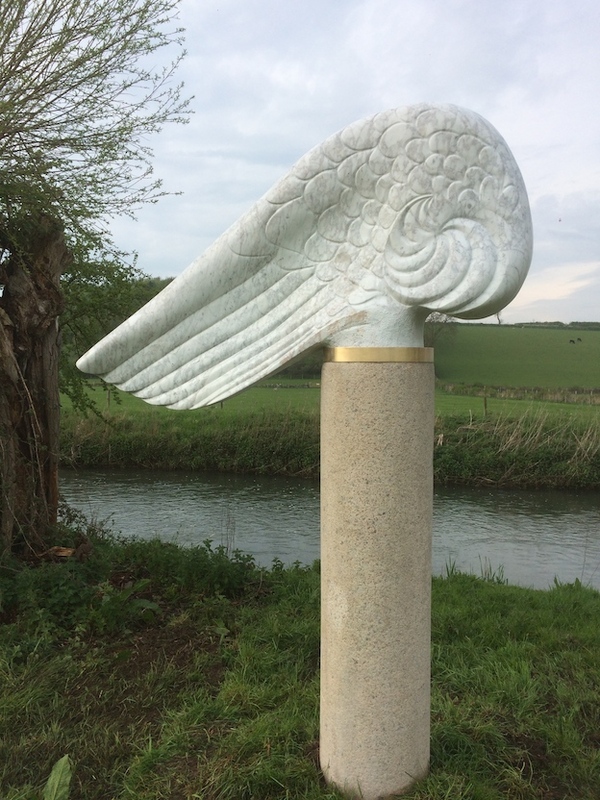 On its plinth it stands at 4.5 metres tall and as you approach the corner a 1/2 tonne of Carrara marble represents a dove in flight. At different times of day the light hits from different angles. 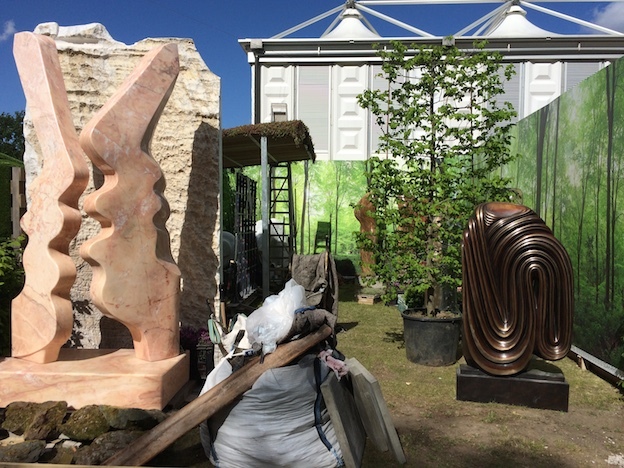 Its a welcome addition to this busy corner, and as the foliage around the sculpture matures it will settle into its environment. Paul worked alongside the local church to come up with the design and you can see the progression of the piece in these images. In spite of the increasingly dark and gloomy weather, here at the studio thoughts of next Spring are keeping us positive. 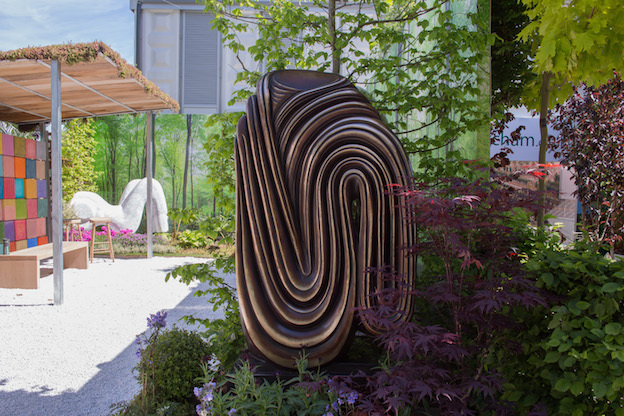 We are excited to announce that we have had confirmation of our stand at Chelsea Flower Show in May, so immediately we’ve started to plot and plan for this. Pauls stand will positioned on Western Avenue (stand WA1) which is a great spot right beside the innovative Fresh Gardens and the food area! (For those who came this year, it’s nice and easy as it’s the same location). We will be updating our progress over the coming months, but tickets are on sale to the public from December 1st so make a note in your diary! This entry was posted in news on November 18, 2014 by Paul Vanstone. Paul is currently working on pieces for an exhibition in January at the Royal Geographical Society on Exhibition Road in London. Here’s a sneak preview of one of the new pieces that will be included once finished. 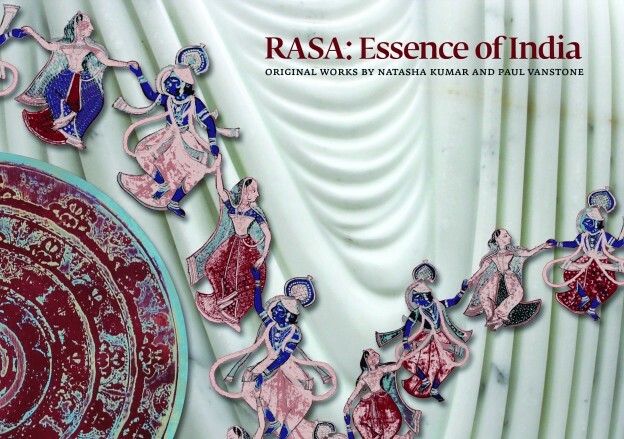 Paul is showing with fellow artist Natasha Kumar and the exhibition will celebrate the the ancient Indian aesthetic of rasa. This entry was posted in news on November 6, 2014 by Paul Vanstone. 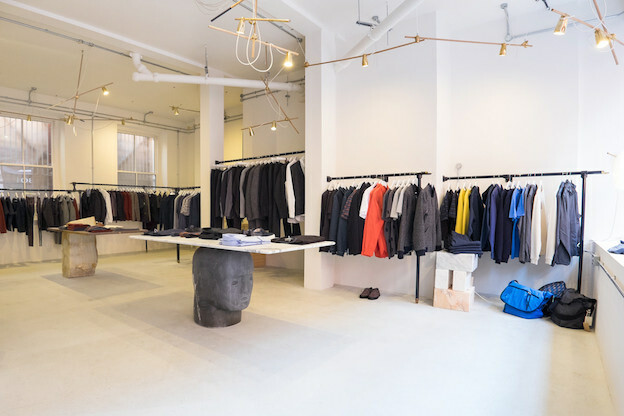 Paul was recently asked by Folk Clothing to collaborate on some pieces for their new Soho store on Great Windmill Street. Paul worked with Folk creator Cathal McAteer who is increasingly concentrating on design and interiors. Paul made all the marble work used in the store.